Teamwork is at the heart of these two tonally different yet thematically similar tales of survival against all odds. 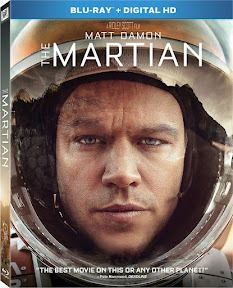 Featuring a bevy of Oscar winners and nominees on both sides of the screen, while both pictures are ensemble driven overall, Ridley Scott’s humorous and heartfelt Martian shines particularly bright as a veritable one man show for actor Matt Damon. From its tongue-in-cheek soundtrack of ‘70s disco era hits (which provide endless opportunities for comedic counterpoint) to its high key lighting and bright color palette, the undeniable appeal of The Martian as an all-around crowd-pleaser is so strong that the film inexplicably garnered multiple Golden Globe nominations and wins in the category of Best Motion Picture – Musical or Comedy. Infusing what in someone else’s hands might’ve been an overwhelmingly bleak and cerebral storyline with unexpected optimism and charm, The Martian benefits from Damon’s most affable and charismatic turn since his breakthrough role in Good Will Hunting. 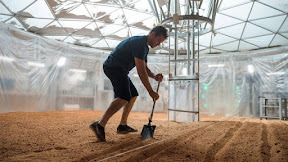 Hoping to prove that there can indeed be (plant) life on Mars, Damon’s astronaut/botanist Mark Watney is forced to rely on outside-of-the-box thinking after he’s erroneously mistaken for dead by his crew and left behind on the red planet during the horrific sand storm which opens Scott’s strongest character driven feature since his 2003 sleeper, Matchstick Men. 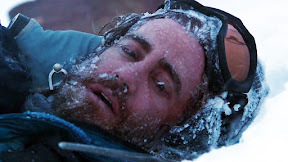 Storms of an altogether different kind factor into director Baltasar Kormákur’s Everest, which (in stark contrast to Scott’s science fiction adaptation of Andy Weir’s eponymous novel penned by longtime genre specialist and former Joss Whedon co-scripter Drew Goddard) is rooted in fact. Set during the catastrophic climbing season back in the spring of 1996 where over the course of a single day countless souls lost their lives in their quest to the top of the world’s highest and deadliest mountain, Everest aims to make viewers feel as though we’re right there on the mountain alongside its many larger than life personalities. A globe-spanning epic that, much like the intergalactic Martian has been captured in 3D, while unfortunately I’m unable to judge Martian’s usage of the format since Everest was the only Blu-ray I received for review in 3D, to its immense credit Everest does much more than just dazzle the senses with out-of-this-world three-dimensional cinematography. Lensed with the stunning clarity of an IMAX documentary, Everest makes the most of the medium’s ability to enhance our understanding of the experience in an experiential approach. 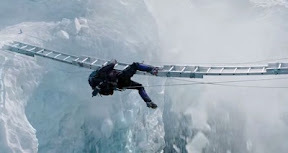 Whether they're dangling us on the edge of the icy ladders alongside the mountaineers or making sure we can practically feel each gust of wind during a blinding snowstorm, the filmmakers do a tremendous job recreating the harrowing events of May 10 as that long, hellish day journeys into an unforgiving night. Working from an ambitious and emotionally potent screenplay by 127 Hours scripter Simon Beaufoy and former Ridley Scott collaborator and Gladiator scribe William Nicholson, Kormákur and his talented cast including Josh Brolin, Jake Gyllenhaal, and Keira Knightley are able to elevate the film beyond the level of a mere visual effects spectacle. 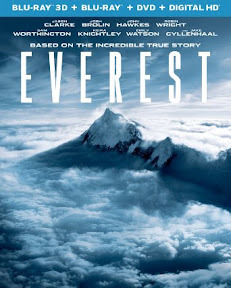 Thematically similar to The Martian in its celebration of mind against matter and creative problem solving, both Everest and The Martian soar in part thanks to the empathy, compassion, and integrity inherent in the performances of the stars that embody the films’ many characters. Yet, much like their differences in tone, their reliance on the alignment of these stars varies from one film to the next. Cool, quotable, and compelling right from the start, even though Goddard’s screenplay sets the stage for a much more memorable cinematic experience, intriguingly whenever it cuts away from Damon and chronicles the roles that others (including Jessica Chastain, Donald Glover, and Chiwetel Ejiofor, among others) are playing in trying to bring our Martian home, the film loses a little of its hold on the audience. Alternatively, in Beaufoy and Nicholson’s thoroughly researched Everest, the actors manage to disappear so seamlessly into their well-written roles to such an extent that we know (at the very least) one or two important character-defining details that sets each one apart from the rest. 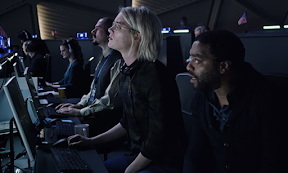 Yet surprisingly more often than not when it comes to The Martian, the only discerning characteristic a supporting player has to set them apart from another person in the scene is the name of the celebrity playing them. 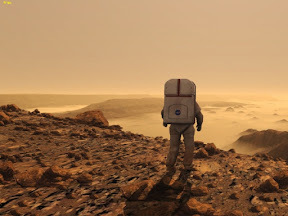 Fortunately for Scott's film, this hardly amounts to a major flaw since The Martian is much more focused on Damon’s lead as well as the thrilling scientific innovation that he (and others) will have to rely on to try and reunite Watney with his crew. 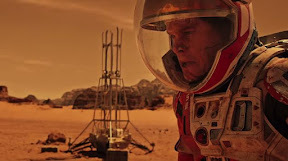 Still while both pictures suffer slightly in their rushed final acts as The Martian, in particular stretches our suspension of disbelief near its breaking point, in the end it’s The Martian that leaves a far more lasting impression by knowing precisely the right note it wants to end the film on. Two thrillingly crafted stories of science and survival that play even better together as a double feature, while both possess minor flaws, the greatest successes for each lies in their commitment to championing those who inspire us to reach new heights by daring to dream.